My 20th entry in Amy Johnson Crow’s “52 Ancestors in 52 Weeks family history blogging challenge. I’m closing the gap at just 3 weeks behind in this series (the challenge is on week 23). I initially blamed my tardiness on being super busy at home, work, and with my volunteer work. However, the extended lapse can be blamed on the recent diagnosis of some critical health issues that had wiped me out for a while (you can read about that on my food blog). But I’m determined to chronicle at least 52 Ancestors this year, so I’m playing catch-up. My 20th ancestor is my great grandmother Sarah KENNEDY (1898-1930). I have written about Sarah before, but not as part of the 52 Ancestors project. Sarah has been one of my brickwalls, until the last couple of years. Because my grandfather, her youngest child, Michael John FLANAGAN (1927-1997) had no memories of her. Sarah died when he was barely three years old. Sarah’s husband, Michael’s father, Patrick Thomas FLANAGAN (1897-1928) had already died one and a half years prior. Because the other children did not grow up together after their parents died, Michael learned very little about his mother. He omitted her name entirely from his marriage certificate, listing his foster sister-in-law Edna as his mother, indicating to me that when he married at age 19 in 1946, Michael still did not know the name of his mother (he got his dad’s name wrong on that document, too). Which doesn’t fully make sense since Michael’s baptism record correctly lists the names of his parents, but perhaps he did not obtain a copy that document until after he was married. I first identified the name of my grandfather’s mother from records created by the German Roman Catholic Orphan Asylum in Buffalo, New York, where Grandpa and his brothers lived for a brief while. His record, the family record for his brothers, and the guest visitation records identify “Sarah Kenedy” as the boys’ mother. 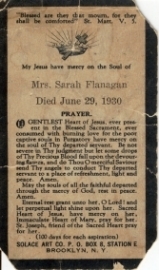 After my grandfather died, I found his mother’s prayer card in his personal papers, which identified his mother as Sarah Flanagan. That baptism record I mentioned above wasn’t with the papers I had access to at the time, otherwise I would have had another Kennedy confirmation. My Mom and her siblings were unclear about Sarah’s maiden name. My oldest aunt thought that Kennedy was the name of Sarah’s first husband, and that Ward was her maiden name. We knew of an older daughter named Catherine Mae Ward, but weren’t sure if her full name was Catherine Mae Ward or Catherine Mae Ward Kennedy). German Roman Catholic Orphan Asylum Family Card identifying Sarah’s name and incorrect birth place. Click the for larger view. I was also unclear about Sarah’s birth place. The orphan records list it as Hyman, Pennsylvania, which sent me on a wild goose chase because I find no such city or town. On both marriage records, Sarah lists her birth place as Cumberland, Maryland, which is in Allegany County. Yet both the 1900 and the 1920 Census list Pennsylvania as her birth place.It was not until I discovered Sarah’s two marriage records that I learned the names of her parents — Joseph KENNEDY (1876-?) and Catherine DARNLEY (1876-1926). Sarah’s name was indeed Sarah Kennedy. Sarah’s birth date remains a mystery. I am skeptical about the age Sarah recorded on her first marriage record (18 years old, which calculates to being born in 1894), because the 1900 Census record (with information provided by her father) identifies her birth year as 1898. The 1920 Census lists her birth year about 1899. Sarah ages herself identifying her age as 27 years old at the time of her second marriage, which would make her birth year 1897. Since Sarah’s correct birth year seems to fall between 1897-1899, this would make her only 13-15 years old at the time of her first marriage! So I am at a total loss as to Sarah’s real birth date and place until I can find her birth record. Once I had good solid clues about the names of Sarah’s parents, and where she was born, I was able to locate her on the 1900 U.S. Census living with her father Joseph Kennedy in Lonaconing, Allegany County, Maryland. Sarah was two years old at the time (born November 1898), and although her father is identified as married, her mother is not living with them. 1900 U.S. Census. Courtesy of Ancestry.com. Click image to view a larger copy. I have not located Sarah on the 1910 Census, when she would have been about twelve. Sarah married Frank WARD on 25 June 1913 in Mahoning County, Ohio. The marriage record does not indicate a city or specific church or other location. Sarah lists her age as 18 years old as of 19 November 1912, which would make her birth date 19 November 19, 1894 — four years earlier than her second marriage record and the 1900 Census record imply. By the time of the 1920 U.S. Census (which I will blog about in detail later), Sarah was no longer living with Frank Ward. She lived with her mother, in Bellaire, Belmont County, Ohio, even though the census indicates she was still married. 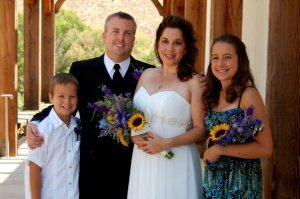 At some point, Sarah and Frank divorced, unless Sarah committed bigamy with her second marriage, which is not out of the realm of possibility. I have not yet found a divorce record. 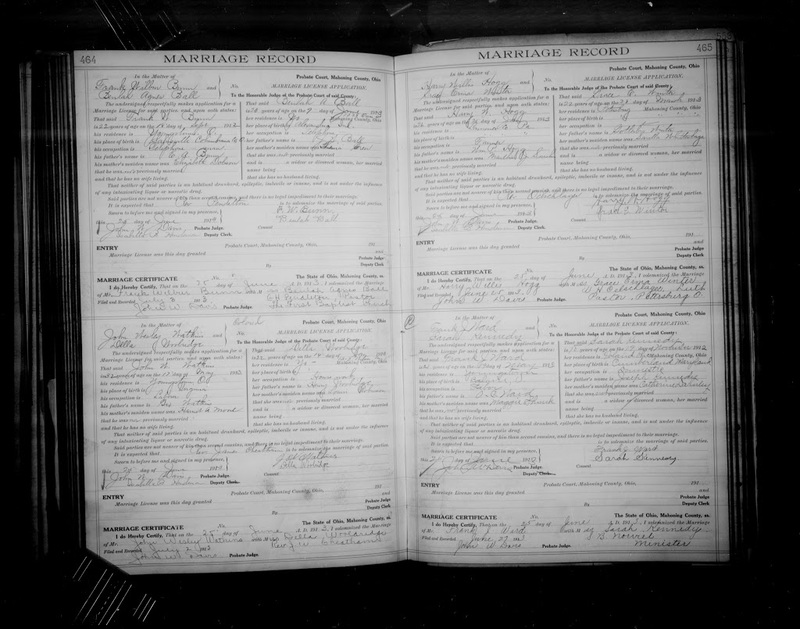 Marriage record for Frank Ward, courtesy of FamilySearch.org. Click the image for a larger view. Sarah erroneously states no previous marriages, despite her first marriage to Frank Ward. Unless she was trying to cover up still being married to Frank Ward, I can’t think of any reason why she would lie about this. Remember, I have not found a divorce record for Sarah and Frank. And since Sarah already had children at the time of her marriage to Patrick Thomas, Patrick Tomas had to have known she was previously married (unless Sarah let him think the kids were born out of wedlock).Sarah married my great grandfather Patrick Thomas Flanagan on 10 April 1925 in Steubenville, Jefferson County, Ohio. Sarah claimed to be 27 years old at the time. This jives more with an 1898 birth year, as indicated on the 1900 Census, or an 1899 birth year as indicated on the 1920 Census — but would make her birth year 1897 according to the most recent birthday and age she records on the marriage application. Sarah was also eight months pregnant with my grandfather’s older brother Patrick Joseph Flanagan (1925-1981) when she married his father Patrick Thomas. According to Patrick Joseph’s birth certificate, he was born 6 June 1925. Patrick Joseph was either two months premature, or Sarah was eight months pregnant at her wedding. 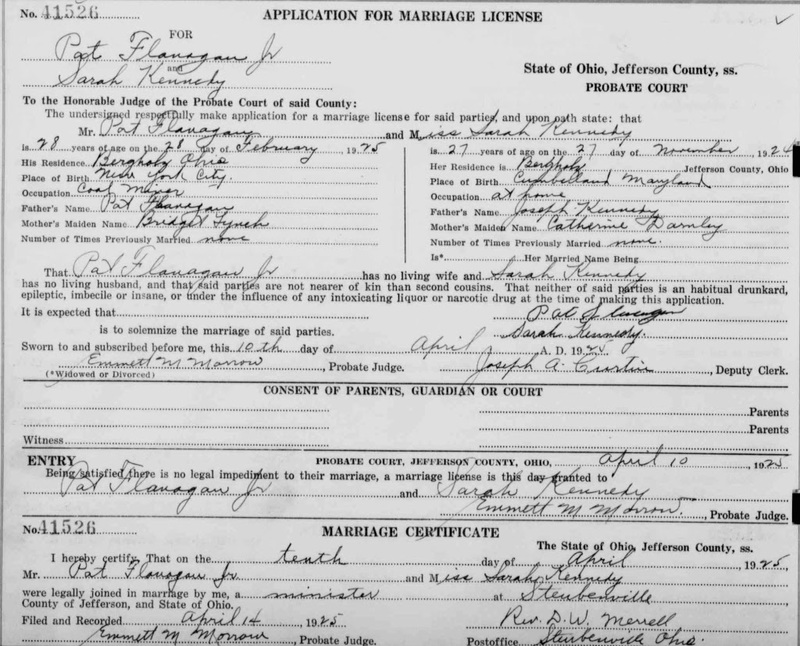 Marriage record to Patrick Flanagan, courtesy of FamilySearch.org. Click on the image to view a larger copy. Sometime after 12 July 1925, when their child Patrick Joseph Flanagan was baptized, Sarah and Patrick Thomas moved their family from Bellaire to Buffalo, Erie County, New York, where my grandfather was born on 23 May 1927. Sarah gave birth to 5 or 6 or 7 children. The more records I discover and analyze, the more confusing it gets. I recently blogged about the mysterious newly discovered Walter Ward. Left to Right: Patrick Joseph Flanagan, Michael John Flanagan, and possibly Harry Flanagan. Walter Ward (b. 1916): Father Frank Ward. Birth record confirmed. No record of him ever again living with Sarah. Could be the legal birth name of Joseph. Could be a twin of Joseph’s, who died young. Patrick Joseph Flanagan (b. 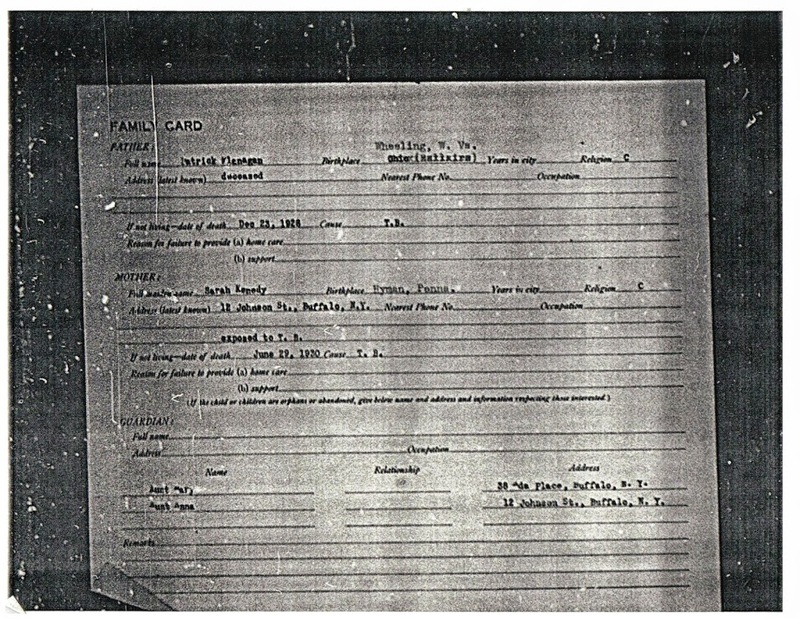 1925): Birth and baptism certificates, and orphan files, record father as Patrick Flanagan. Michael John Flanagan (b. 1927): My grandfather. Baptism certificate and orphan files record father as Patrick Flanagan. Catherine, Walter (who might be Joseph), and Leonard were all definitely born to Sarah’s first husband Frank Ward. Patrick Joseph and my grandfather Michael were definitely born to Sarah’s second husband Patrick Thomas Flanagan. Harry’s father (even Sarah’s relationship as his biological mother) is not clear yet since I find no primary source documents identifying his parents, only secondary documents. But if Harry’s father is Frank Ward, Sarah and Frank were still together approximately nine months before 22 April 1920, when Harry was born. And if Sarah and Patrick Thomas are Harry’s biological parents, then they had him five years before getting married. It is also possible that Harry was born to Patrick Thomas and someone else before Patrick Thomas hooked up with Sarah. Harry considered Patrick Thomas and Sarah to be his parents, though, since he noted this on his marriage application. According to her prayer card and her burial record, Sarah died 30 June 1930. Her burial record shows pulmonary tuberculosis as the cause of death, and her boys’ orphan records indicated that the minor children had to be admitted to the orphanage because their mother had TB and was too ill to care for them. 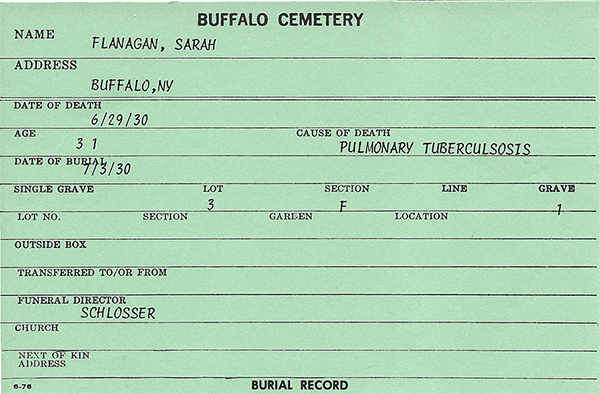 TB was also highly contagious; Sarah most likely caught it from her husband, who died from it in 1928. Courtesy of Mount Calvary Cemetery Group. Photo courtesy of Find A Grave volunteer Phyllis Meyer. Sarah was buried in Buffalo Cemetery in Cheektowaga, New York on 3 July 1930. I blogged about that discovery, and my unsuccessful attempt to find more information in her burial records. 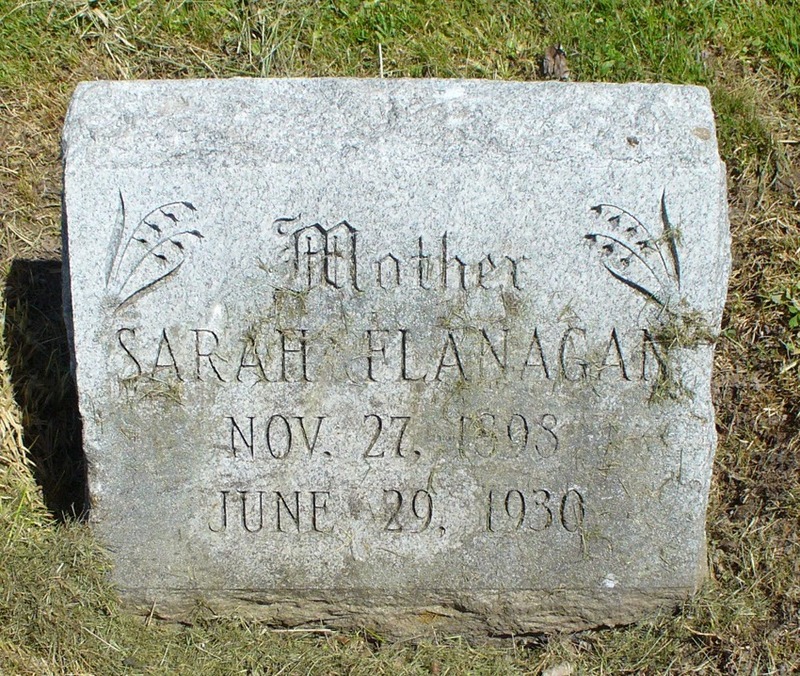 I don’t find any other Flanagans listed here in the Find A Grave database, including Sarah’s husband Patrick. I can’t imagine why Sarah was not buried with her husband, and I have no idea who paid for and arranged her mass and funeral.